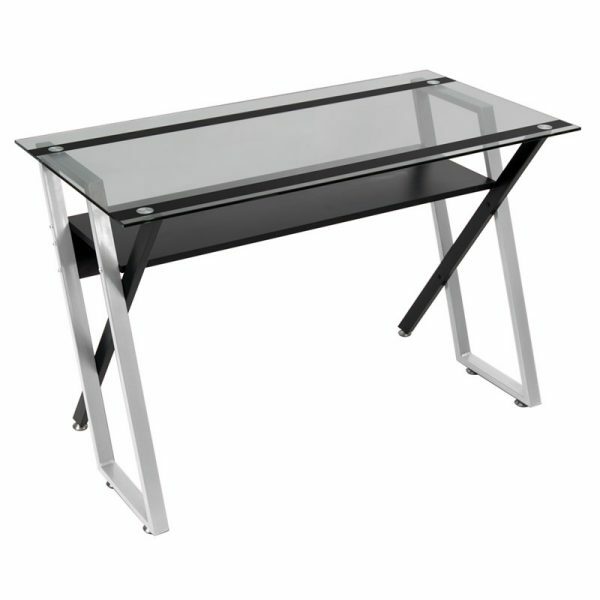 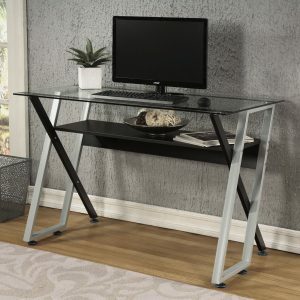 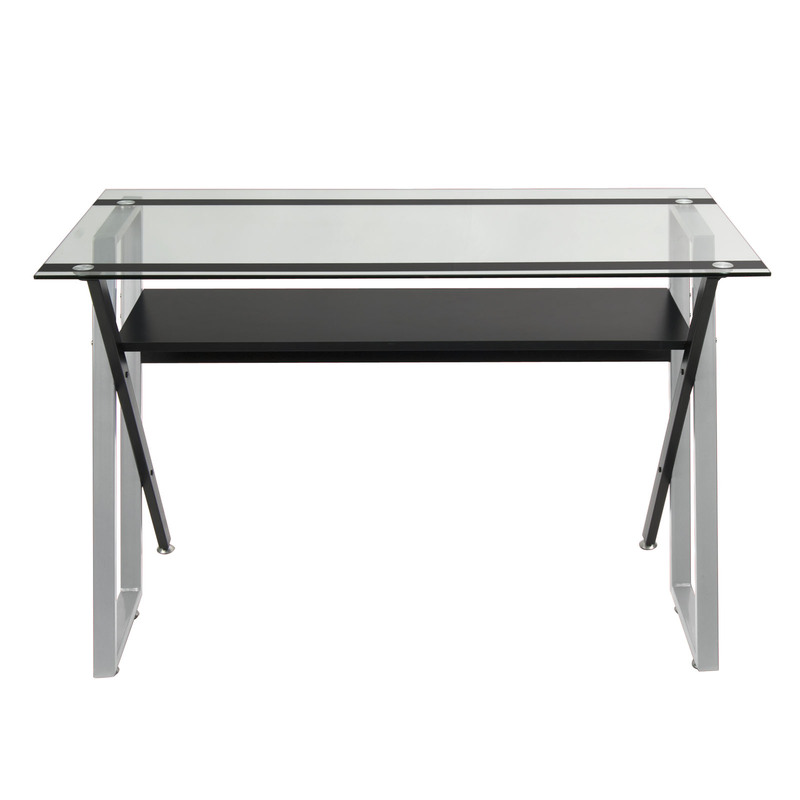 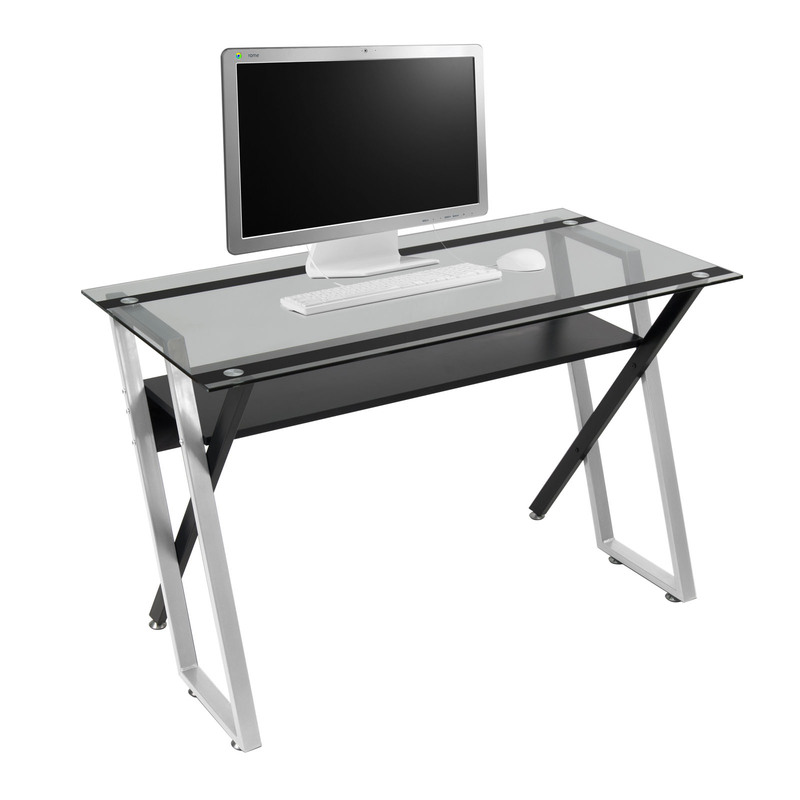 The Colorado Desk features a clear, tempered, safety glass (with black stripes), and a criss-cross leg pattern in silver and black. 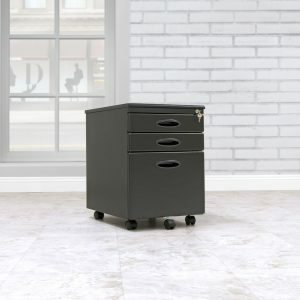 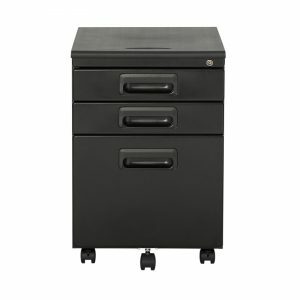 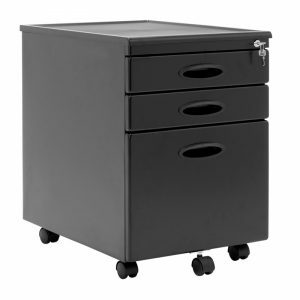 Made out of heavy gauge steel, and includes six floor levelers keep this desk nice and even. 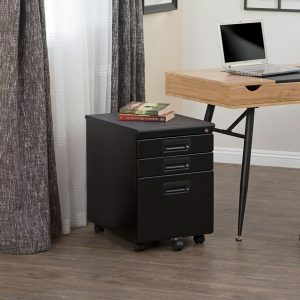 The center shelf can hold necessary paperwork, or light office supplies.